There are many people who have turned into blogging and changed their lives. There is a wide range of blog topics like mommy blog, tech blog, travel blog, tutorial blog or even a personal blog. No one can teach you what to post as long as you know what you really want and you are doing well in that field then you can start writing about it. Although, I don't consider myself as an expert blogger but my five years experience in this field is enough for me to share some helpful information for beginners. 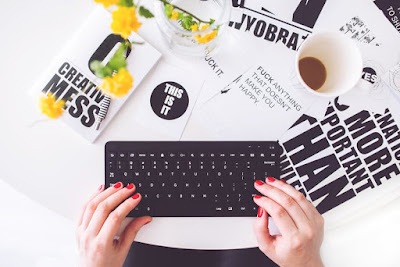 Blogging is a great way to express one's feelings, opinion and experience but most of all, blogging can be your fall back once you decide to quit your classic job. My name is Rea and I've been blogging since 2008. I am the mom behind the blog mommyyah.com and the admin of the blog "Diaries of a WAHM" (just launched a week ago). I also have 8 other blogs in different niches like DIY, Nature, Recipes and etc. Among those mentioned topics or niches, I consider myself expert in blog topics related to mommyhood and WAHM (Work at Home Mom) so I write to these two blogs more often than with my other blogs as I don't feel any pressure writing about being a work at home mom. I have friends and relatives who are very curious why I do blogging, they often ask me this question "Why are you spending time in writing? ", my answer would always be "I do what can make me happy and fulfilled". That question would usually be followed by " Are you earning from it?" and I would simply say, "That's the bonus" and the discussion will continue. 1. Identify your expertise to know your niche - when it comes to blogging, it is important that you always sound so natural. When you know exactly what you are talking about then it is more possible that you can attract more audience of the same interests.One example is if you wanted to start a blog about pets but you are not a pet lover, how could you write a great and interesting story about pets? .Just as the same in considering a tutorial blog, this niche belongs to those who have expertise in some fields like technology, applications, education and etc. so knowing your expertise or things that you're passionate about is very important when choosing a niche. 2. Choose a platform - since we are talking about beginners here, I would suggest using a free blog hosting site like Blogger. Blogger is powered by Google and one of the longest running free blogger platforms on the web. Blogger is best for start-up, it will also allow you to monetize your blog. The only disadvantage of using this free platform is they can shut down your site anytime. So my advice is once you get familiarized yourself on how blogging works, try to buy a domain and a web host, and this time, I would suggest to switch on to Wordpress and use one of their trusted web hosts. I also recommend you buying a domain name from Namecheap or from pangalan if you reside in the Philippines as this is the most popular domain providers in the country. 3. Design your blog - modify your blog theme to match to your niche or brand. You can use Blogger's free templates or use custom template designs. There are many free custom templates on the web, just be resourceful. 4. Write a compelling content - make sure you write a quality content. Copying content from other bloggers or websites is a big No! If you want to build a good reputation and to avoid being penalized, make sure that everything you post on your blog is your original content. 5. Engage with other bloggers - there are many different blogger groups that you can join and learn more tips about blogging. I would suggest some like askpinoybloggers, mommybloggerphilippines (for mom blogs), topmommyblogs and others. Those are just the basic steps, if you want to do more, you can create a facebook fan page where you can share your posts and build a regular audience. Once you think you have enough audience to monetize your content then you can apply for Google adsense, MGID or Taboola, they are advertising sites that will pay you to post their ads on your blog.